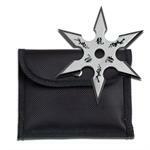 Dragon design throwing knives blades come in 3 piece set. The knives are 6.5 inch overall length. 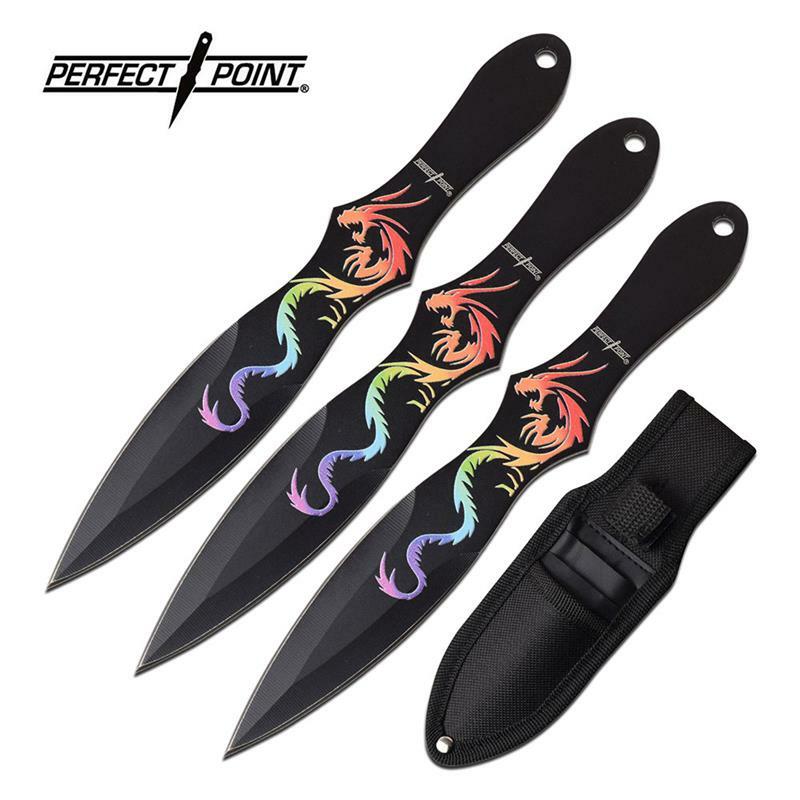 Dragon design is printed on the blade. Includes nylon sheath.